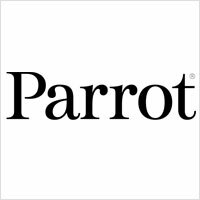 For a French company, Parrot is considerably unique – it does not conform to any one kind of product and it certainly defies all stereotype for the country of origin. For some Parrot is the company that manufactures the hugely successful miniature UAV/RC Helicopter – the Parrot AR.Drone, and for others it is the manufacturer of Bluetooth devices par excellence. Audiophiles on the other hand know it for the brilliant, classy Zik headphones that were endorsed by many including the great Lou Reed for their outstanding quality. The company’s main products are mostly Bluetooth hands-free systems, kits, multimedia products, plug & play solutions, modules and chipsets for the automotive industry. OEM solutions including hardware and software both are also provided by Parrot. System design and integration, after-sales maintenance (software updates, compatibility testing etc.) are also provided by Parrot. Their main competitors are Bosch, CSR PLC, Fujitsu, Motorola and Nokia. This itself provides some idea of the extremely diverse nature of its industry. The company is one of the fastest growing in the world, with an award from Deloitte’s Technology Fast50 crowning several achievements. The company employs 850 people worldwide and most of its sales comes from outside France. The main strength of Parrot comes from its general restriction to very few models. They almost always increase the amount of R&D spend on a tiny, exclusive set of things to make it as perfect as possible before releasing it to the public. Sure, they do not come in cheap but with the Parrot Zik or the AR.Drone, you know you are holding one of those incredible good pieces of manufacturing that you would not get anywhere else. The company was founded in 1994 by Christine/M De Tourvel, Jean Pierre Talvard and Henri Seydoux as a wireless communications provider. It is currently a member of the CAC Small 90 small equities tradable exchange. From a mostly B2B focused strategy, the company has slowly incorporated B2C elements for greater reach of its applications and vertical integration. It has started developing and selling hi-fi wireless speakers, and also having a strong focus on design elements. Recently it launched the Design By speakers collection featuring names such as Andrée Putman, Martin Szekely and Philippe Starck. In January 2010, the company launched its first miniature quadrocopter/drone, the AR.Drone v1 along with an Open Game Development API for open development. It eventually also acquired 57% stake in the Swiss drone company SenseFly. 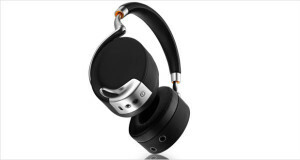 With beautifully isolating sound, great design elements, excellent innards, the Parrot Zik is one of the few Bluetooth headphones that are actually worth investing some money into. One of the main selling points apart from all the above is that Lou Reed himself tuned these lovely set of wireless headphones with active noise control. The DSP inside is configurable with an iPhone/Android app to give the perfect amount of immersion that you require so that you melt into the music without any concern for the world outside. Additionally, touch controls embedded in the headphones themselves allow you to have a lovely trip around the city without touching your music player.